Given the projected growth of methane emission by ruminants in developing countries, there is a clear need for reliable estimates of their contribution to greenhouse gas emissions. Existing studies have rarely considered sheep and goats. The objective of this study was to predict enteric fermentation methane emission factors (EFs) for Djallonké sheep and West African Dwarf goats, following the 2006 IPCC Tier 2 methodology. Estimated enteric methane emission factors, expressed per head of animal per year, were 2.3 kg CH4 and 2.0 kg CH4 for sheep and goats species, respectively. Compared with the generic Tier 1 emission factor of 5 kg CH4 head proposed by the IPCC for small ruminants in the sub-Saharan Africa region, our suggested values are 56% and 60% lower for sheep and goat, respectively. These lower values took account of the particular flock structure of both sheep and goats. These estimates also accounted for differences in live weight according to age and corresponding estimated feed intake. 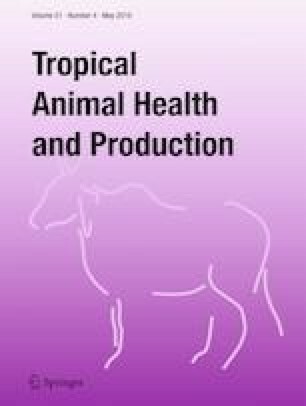 This work is a step forward in the revision of small ruminant emission factors and can further support assessment of mitigation strategies in Senegalese livestock farming systems. The online version of this article ( https://doi.org/10.1007/s11250-018-1775-4) contains supplementary material, which is available to authorized users. Mr. Sega Ndao would like to acknowledge the National coordinator of PROGEBE Senegal for sharing datasets. We also appreciated expert assistance from the members of the Global Research Alliance, Livestock Research Group (GRA/LRG). National Inventory Report of Senegal (NIR). 2015. Available at : https://unfccc.int/process-and-meetings/transparency-and-reporting/reporting-and-review-under-the-convention/national-communications-and-biennial-update-reports-non-annex-i-parties/national-communication-submissions-from-non-annex-i-parties.